persistent store is used for any persistent messages that arrive on the destinations, and to maintain the states of durable subscribers created on the destinations. You can target a JMS server to either an independent Weblogic Server instance or to a migratable... 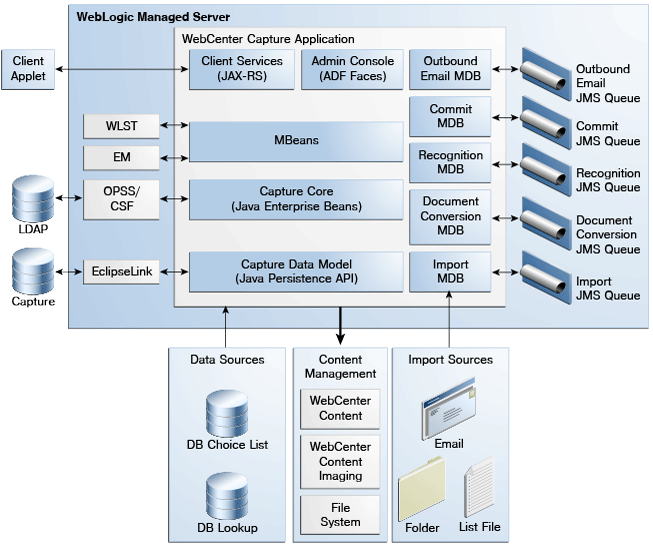 The WebLogic uses "Persistent Store " to store subsystems data, such as persistent JMS messages. It defaults to use File Store, but you can customize to use database instead. In the Create a New JMS Server screen, enter the Name of the JMS Server as dizzyworldJMSServer. Leave the Persistent Store as (none) . Then click Next . The last is the foundation of the entire JMS subsystem�the WebLogic Persistent Store. Modular configuration of JMS resources Prior to WebLogic Server 9.0, JMS resources such as queues and topics were tied to a specific JMS server.